CSA Chopped Episode #24 – The finale. – ugly food tastes better. CSA Chopped Episode #24 – The finale. 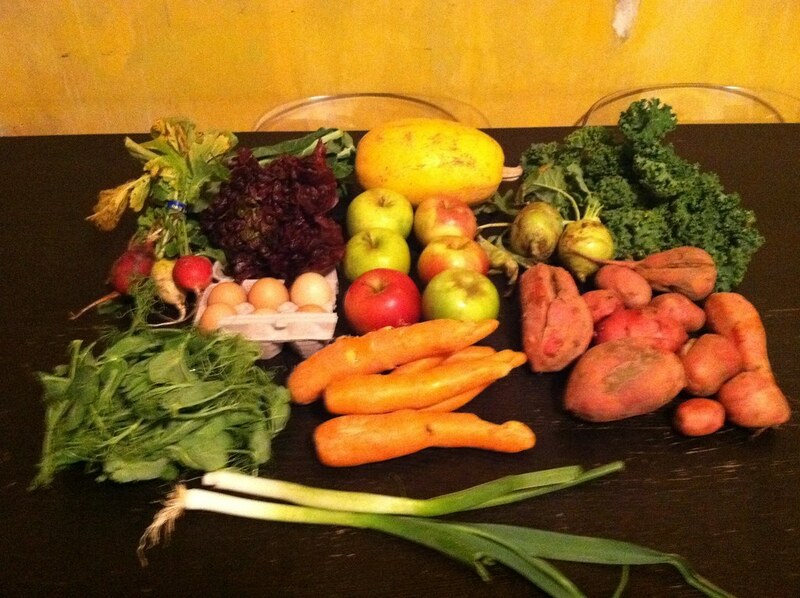 So, this is the last CSA pickup for the season! It was a wonderful haul. Heavy as crap, picked up in the pouring rain, totally worth it. It is going to be so weird to not pick up for the next 2 weeks! 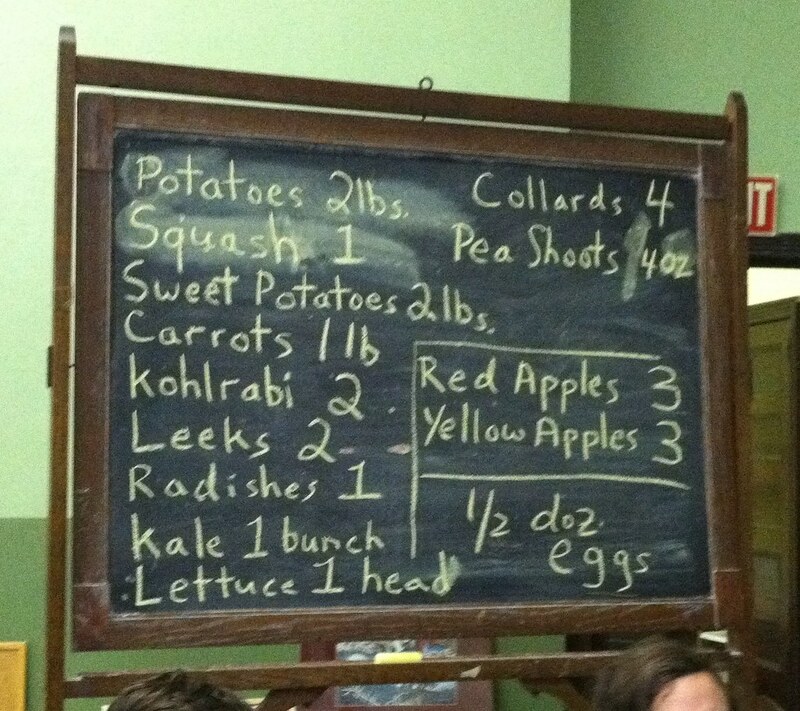 I am so happy that we ended with more kohlrabi! Of all the new things that I have gotten to try with my first CSA, that was my favorite! I have no idea what to do with pea shoots, but I am excited to find out, and I am SO thrilled to have gotten a spaghetti squash finally, I have never actually made one myself, and I am looking forward to it. I have learned so much about farming, the seasons of crops, what it takes to stay truly organic and chemical free, and have met some great people and learned some good recipes and cooking tips this year. I have such a deep respect for everyone at Garden of Eve Farm and I am really looking forward to starting my Winter CSA through them in December. For the winter share, I had to sign up directly through the farm. I found the sign-up process a little confusing, so I called to see how I could get a full vegetable share, plus apples, eggs and the “shopping basket” items – pickled food, honey, flour, cereal, etc. Surprisingly, getting all 4 categories in one share is not an option. Weird. So I called Lynn and Diego, whom I currently share the Summer CSA with, and we agreed to split 2 shares. The first is the vegan veggie share, so we can get the apples and bonus veggies, and then the second is the shopping basket share, which is even more veggies, plus eggs and locavore goods. So, everything is covered and tons of extra veggies. SO EXCITED. If you are also joining this CSA or another winter one and are planning to blog about it, please let me know! Wow! That is a crazy huge haul! It’s great to hear that you are rocking the kohlrabi. Often, I can’t figure out what to do with it, so it kind of gets neglected in vegetable repertoire. Do you make slaw? And you still have pea shoots? Lucky!